Tribute bands are in a class all to themselves. Within that class some bands go for the whole look as well as feel of the original band. The other type goes more for capturing and replicating the original sound as closely as possible without relying on having the visual experience in the forefront. In the Light of Led Zeppelin combines the two and takes it one step farther. They reach for the natural progression of where Page and Plant would move their catalog over time. 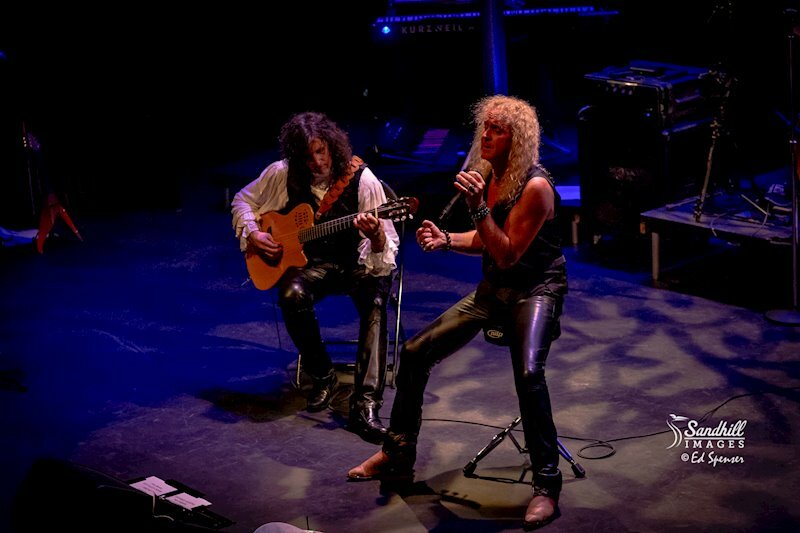 Pompeii Sessions is comprised of nine tracks of slightly re-imagined Zep music heavy on the style of Page and Plant’s reinterpretation of their own music in the 90s. Founded by guitarist Antonio Bolet, the Florida based lineup includes lead vocalist Scott Board, Autumn Martini on bass and acoustic guitar; Randi Fishenfeld on violin; Linda Kiley (keyboard/synth, mandolin, backing vocals) and Keith Howard on drums. Bolet and Scott hold up the visual Zep imagery through some physicality likeness as well as costumes, but the rest of the band is a 360 spin from Zep. After initial resistance of bring in a female bass player, In the Light of Led Zeppelin brought in the best they could find, so now there are three women. And they all do a fine job. Pompeii Sessions opens with “Dancing Days.” It’s not Plant and Page but it is rockin’ and fairly true to the original. Next up, “Ramble On” retains the uneasiness of the Zep II version while putting a fresh signature on it. “The Battle of Evermore” with its haunting background vocals by Linda Kiley finds a happy balance between cover and reinterpretation. Musically, the drums and mandolin are deservedly center stage. Randi FIshenfeld’s violin adds a graceful entrance into “The Rain Song.” As with most of the album, it’s obvious great care was taken in how each instrument is presented. At times boldness is key, followed by subtlety. Getting to that sweet spot is where they do their best. Pompeii Sessions ends off with the song where the Middle Eastern influence defined the writing of Page and Plant. “Kashmir” is familiar but enhanced. Again the violin makes a strong statement, while Scott Board’s vocals rely on his own comfort zone, not that of early Plant. In the Light of Led Zeppelin have been performing the Zeppelin catalog live for over nine years. 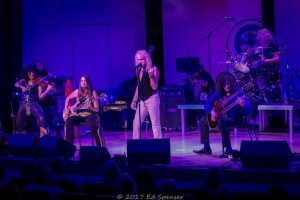 They have over 100 Led Zeppelin songs in their repertoire, so each show takes on a different vibe, even doing fully acoustic shows. Pompeii Sessions is a good representation of a slice of Led Zeppelin, making understated changes to let the music find new breath.